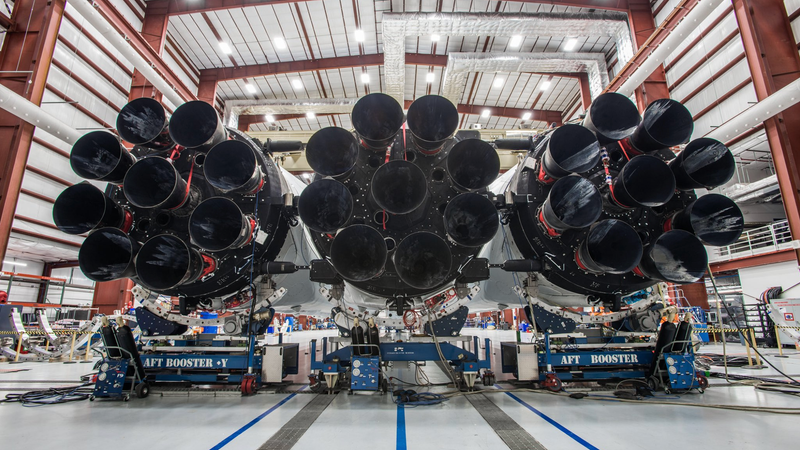 Earlier this morning, SpaceX CEO Elon Musk tweeted photos of the company’s much-hyped Falcon Heavy rocket. Based on these first good looks, we’d say this beast is right on schedule for next month’s inaugural launch, despite a series of delays. 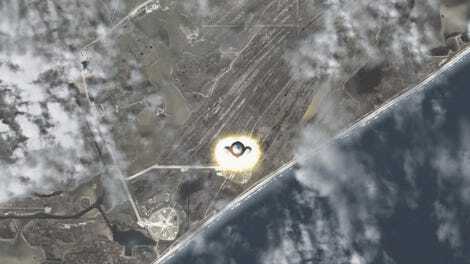 Should all go well, the Falcon Heavy will take off from Cape Canaveral at some point in January 2018. The reuseable, two-stage rocket features 27 first-stage Merlin engines, and a single second-stage Merlin. Depending on the configuration, the 230-foot-tall rocket will be capable of lifting a 140,700 pound (63,800 kg) payload to low Earth orbit, or a 37,000 pound (16,800 kg) payload to Mars. Earlier this month, Musk tweeted that he was going to use his own personal Tesla Roadster as the dummy payload (while playing David Bowie’s “Space Oddity,” no less), and that the rocket would launch on a trajectory towards Mars. But as he later revealed, the whole thing was made up. Let’s hope that Musk’s intention to hit the Falcon Heavy’s January 2018 deadline is a bit more sincere. However, Musk has already tempered expectations for the inaugural launch: He said in July that there will be a “real good chance that that vehicle does not make it to orbit.” Either way, we can’t wait to watch this liquid-oxygen-fueled behemoth fire up for the first time.